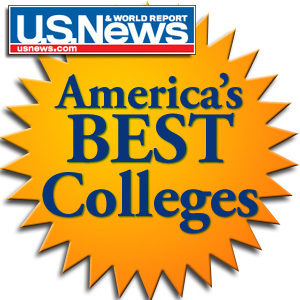 Look for the Claremont McKenna ranking to take a nosedive in this fall's "US News & World Report" college rankings! So not only is Claremont McKenna College making headlines this news cycle for a major college admissions scandal but the very reputation and prestige of the college is now in serious jeopardy. If a college doesn’t appear on the college rankings, fewer students will apply. So many students who we’ve worked with over the years select which colleges to visit and apply to based on rankings. We can encourage them to avoid using the college rankings in school selection but this is quite often futile. Students will apply to the schools they wish to apply to and in American culture, rankings matter. We’ve said it before. We’ll say it again. Rankings do matter. And now Claremont McKenna — because of the unethical decision-making of their former Dean of Admissions & Financial Aid — will be out of the college conversation in a number of households. If they’re not on the list, they take themselves out of the conversation for so many college applicants. It’s the reality of the situation they’re in. It’s the reality of the situation the former Dean of Admissions & Financial Aid put them in. Choose better next time, Claremont McKenna!